It's that time of year again, time for me to bombard all my social media accounts with pictures of my front porch. I love my front porch, it is honestly one of my favorite places in the whole wide world. It isn't fancy or full of expensive furniture, but it makes me so happy. Some of my porch feels inspired by Pinterest and some of it feels inspired by just loving being outside and being with my family. It is filled with beat up old chairs my mother-in-law gave me to refinish (which I never refinished or updated), a table we made out of a door we found (click here for the door to table story), a bench my great grandfather made for my grandmother and books and dogs and kids and sunshine (when we're lucky). We eat as many meals as we can on the porch. We play games on the font porch. We say our goodbyes and hellos on the front porch. 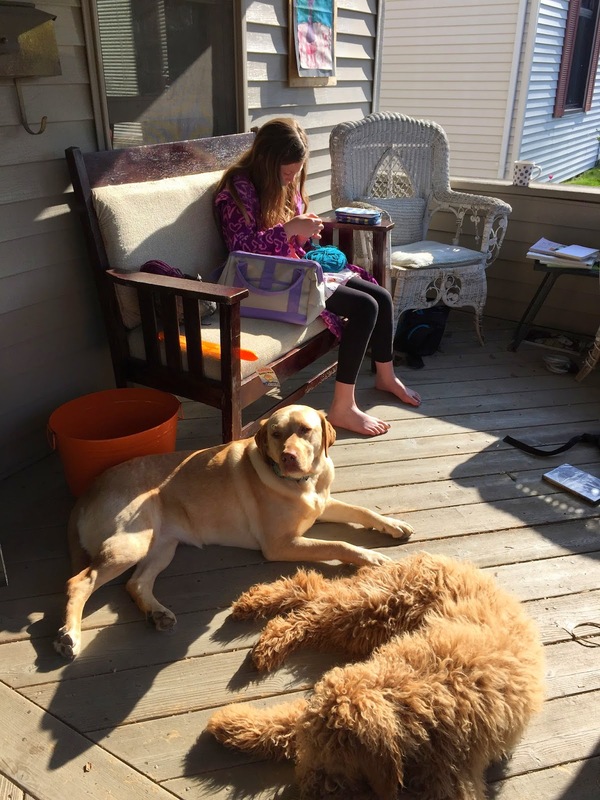 We crochet on the front porch. We read on the front porch. We totally relax on the front porch. We say hi to neighbors, watch the kids play in the front yard, and listen to good music on the front porch. And occasionally I drink wine on the front porch. The front porch is my happy place. I feel safe and so full there--peaceful, grateful. 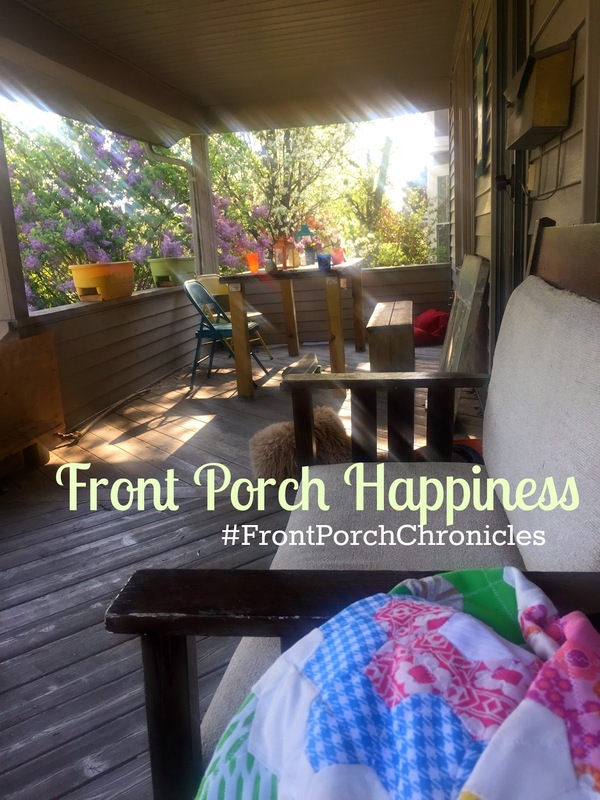 Follow along this summer on Instagram (@JumpingWithMyFingersCrossed) using the hashtag #FrontPorchChronicles. 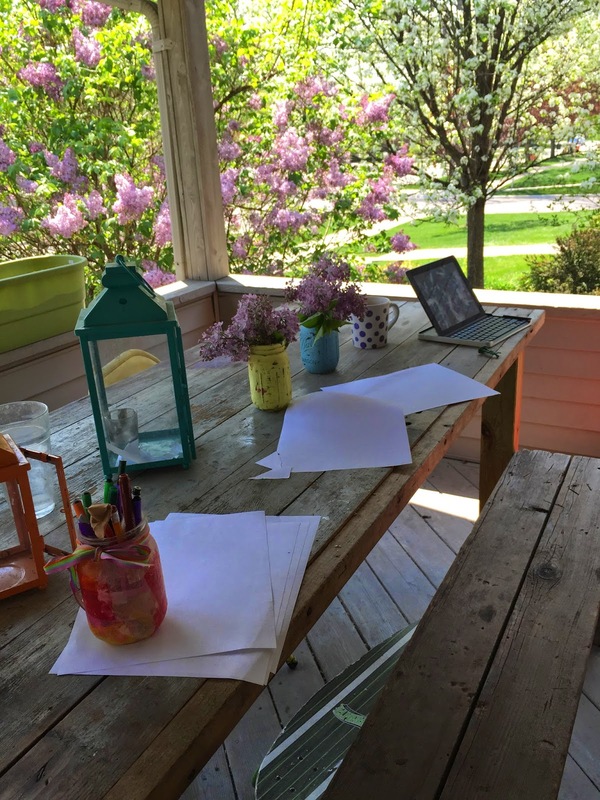 Do you love your front porch? Or do you have another space where you feel happy? Did Pinterest inspire your style or did your style inspire Pinterest? Share your stories and pictures here in the comments or over on my Facebook page. And come follow me on Pinterest. 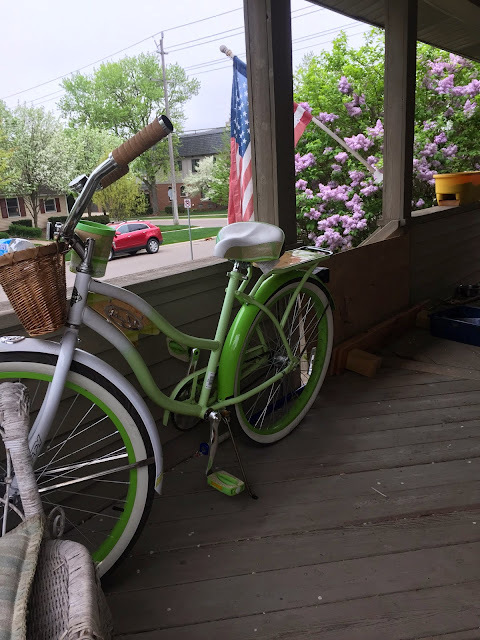 I don't love my front porch yet, but I want to :) I need to add more seating and make it more ours. You inspire me to do that! 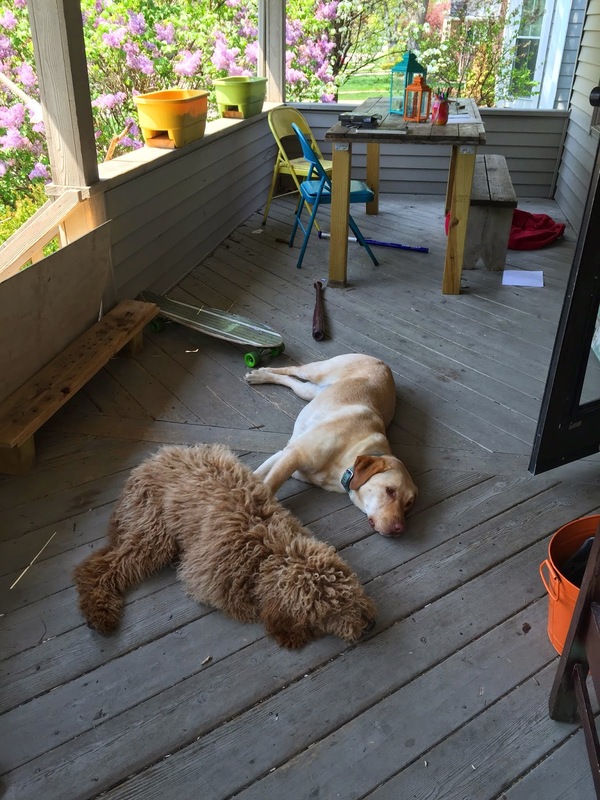 Your porch looks so cozy and loved. I want to vacation on your porch! I feel the same way about my back deck... when I think of it I think of laughter and good times. I LOVE your bike, I'm so jealous!! 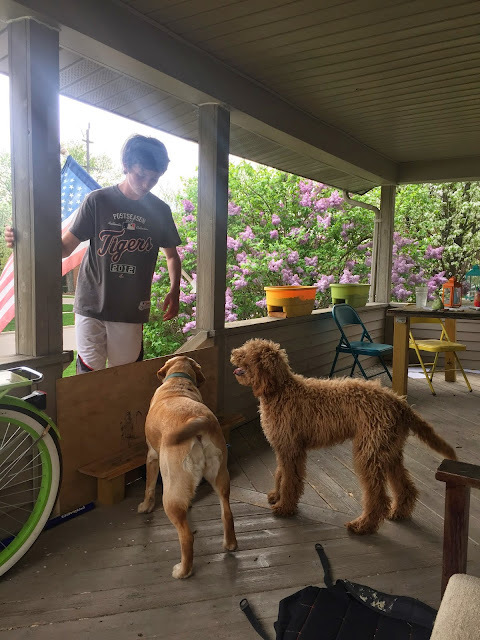 Love your front porch, as always. Lovely space!